Volkswagen has taken another step towards making the one-liter car a reality, and this 200 mile-per-gallon dream could be on the roads within the next few years. The Formula XL1 Concept combines a 2.0-liter TDI engine, electric motor, lithium-ion battery pack and a seven-speed dual-clutch transmission to achieve an astonishing 0.9L/100 km - just over 260 mpg to us Yanks. The included plug-in system, along with the XL1's low drag and extensive use of lightweight materials has the potential to make the concept the most efficient vehicle to ever grace public roads. The XL1 is making its debut at the Qatar Motor Show this week, and while it might look familiar to previous iterations, this latest version is more production read than its predecessors. Check it out from every angle in the gallery below and click past the jump for the full details. 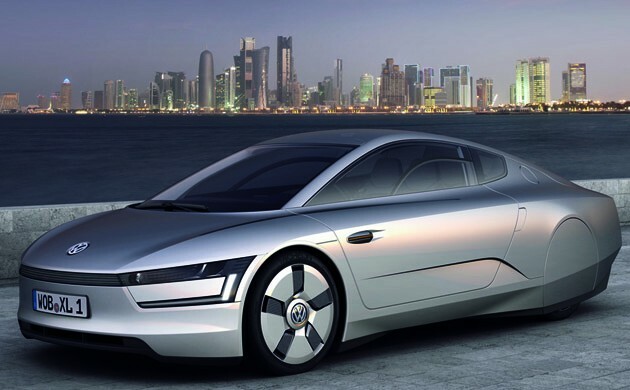 Volkswagen brings XL1 Concept a step closer to reality originally appeared on Autoblog on Tue, 25 Jan 2011 12:32:00 EST. Please see our terms for use of feeds.